Located on Dam Lake, the largest of the 5 lake Sugar Camp Chain of lakes within the American Legion State Forest. 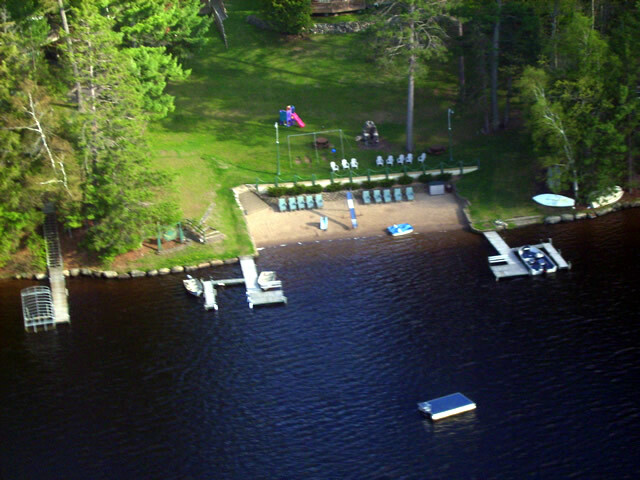 We are conveniently situated in the Town of Sugar Camp, between Eagle River and Minocqua. With over 60% of our lake frontage and thousands of forested acres owned by the State of Wisconsin you are assured a very tranquil setting. Being secluded without being isolated is very important to our guests.